Anand, the Architect – Page 2 – ..Solutions..Answers..Ideas..Fixes..Madness.. Hackers can run a script on your computer by any available methods (Malware, downloaded program, java script) to get your wireless password easily. That’s why you should not download any executable program from unknown and unreliable websites or a USB disk from parking lot. Once they have the wireless password, they can connect to the wireless network from parking lot or closed location around the property and get into the network. This PowerShell script demonstrates how to grab the remembered wireless network names and it’s password in clear text on the running computer. P.S. It is pretty dump to leave the output of the script on your computer for others to read. passwords on the running computer. If you get this error (NS_ERROR_NET_INADEQUATE_SECURITY) when visting HTTPS site on Firefox, that means the web server has something wrong with SSL certificate (old ciphers, lower TLS version). Find network.http.spdy.enabled.http2 and double click to make it false (to disable http2). That’s all. You may need to close Firefox and reopen it. Tadaaaa! It is freaking works now. Say your conference room mailboxes are not processing meeting requests from Office 365 or from partner organization, and you want to process those meeting requests too, you come to right place. One of Two: On the Exchange Connector that receives emails from Office 365 or from different mail servers, Enable Externally secured (for example, with IPsec) in Security Tab of the connector properties. Two of the Two: If you don’t like the above idea, you can enable ProcessExternalMeetingMessages setting on your conference room calendar processing settings. Whip out an Exchange Shell, the type this for every conference room. Open Firefox, type about:config in address bar. Search for http2, find and disable Network.http.spdy.enabled.http2. Close and reopen Firefox. Download and run IIS Crypto tool on the Windows Server. Click on “Best Practices” button, which chooses the protocols and chiphers as below. Reboot your server. Error message says it can not resolve the external email address. The solution is very simple. Create an Exchange mail contact for the external email address that sends emails to the distribution group. 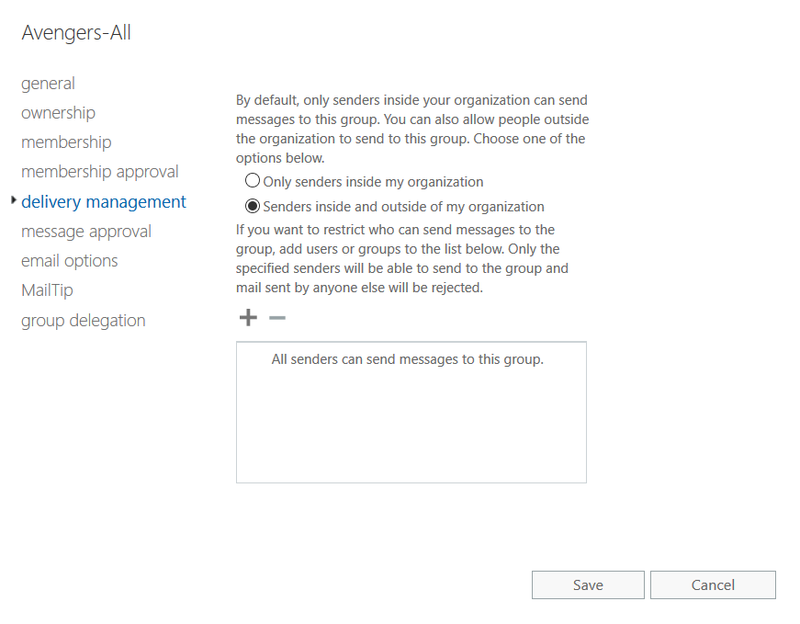 And, add the Exchange contact to the allowed senders list in delivery management section. That’s all. I tried to change that network back to the Private network. For some reason, Windows 10 didn’t give me any to option to change the network type anywhere in GUI settings. Run this command and note down “InterfaceAlias” of the network you want to change. You can close the PowerShell now. Check your network, it should be changed now.